Twitter was proposed by several studies as means to track public health trends such as influenza outbreaks and swine flu, but more information is needed about its usefulness and potential health applications. To analyse the impact of Health Events on Twitter messages and to think of the potential usefulness in public health activities we (MA. Mayer, P. Ruíz, A. Leis and A. Mayer) carried out an observational study based on monitoring Twitter messages posted between November 18 and December 4, including the World Aids Day (December 1, 2011). This work will be presented at the WONCA Europe 2012 Conference that will take place in Vienna next July. During the days of the study, there were more than 1.1 million tweets related to AIDS (over 50% were mostly posted on December 1 and the day before and after it). These messages were obtained via Application Programming Interface search engine when the word AIDS was mentioned in Twitter. Mobile and smart phones were the devices more used to post messages (tweets). There were over 0.7 million unique users. 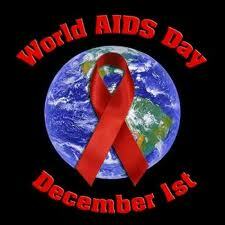 Information links about AIDS, World Aids Day and jokes respresent the most numerous tweets and re-tweets. It seems clear that Health Events generate an important interest and have a big impact amongst Twitter users with a very important rise number of posts and users tweeting about AIDS. For that reason, Twitter and Social Media sites in general, could be used as a means to spread news and health information of general interest via web, above all, using mobile phones (mHealth) with diverse potential educational and public health purposes. It's very important the promotion of more analysis and qualitative studies to better know users' profiles and the semantic of these messages for Twitter to become effective as healthcare and public health tools.